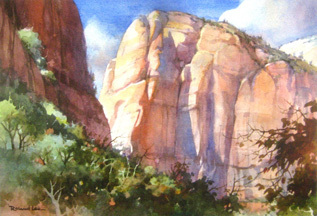 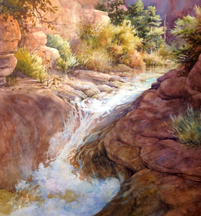 Roland Lee has become nationally known for his transparent watercolors of the southwest landscape, the pioneer west, and rural European scenes. 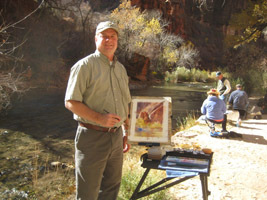 He devotes full-time to painting from his home studio in St. George, Utah. 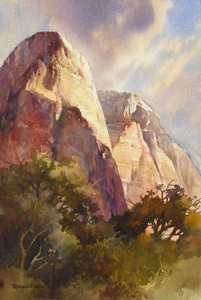 Since 1979 Roland has concentrated on the medium of transparent watercolor using no white, black, or opaque paints. 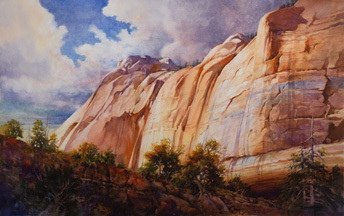 A graduate of Brigham Young University, he has exhibited and won awards in over 50 invitational juried shows.